I’m already getting ready for the big night. You know the one, the night when my reindeer and I take flight and fly all over the world! It’s a long trip! But it’s a fun trip. After all I like bringing joy to all the girls and boys. Especially when I see a plate with a little note that says Cookies for Santa. 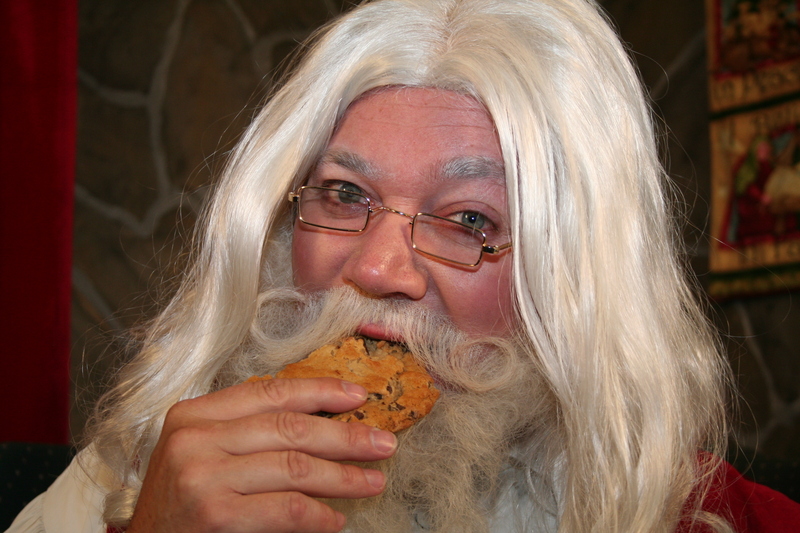 Santa loves Christmas cookies too! The Reindeer Games turned into adventure games today. It was Cupid’s idea. He really wanted to try bungee jumping. His idea was called “Cupid’s Christmas Cookie Challenge”. Christmas Concert — starring the North Pole Elves! Today was the big day! Quite often we’ll watch some Christmas webcams this time of year. But tonight was the big Christmas concert night at the North Pole. All the young elves were so excited to perform. Mrs. Claus and I had great seats right up front. The elves joined in with the Olympic Reindeer Games today. They had a shot putt contest. But they used snow balls instead of metal balls!